The links on this long necklace began as silver wire that was forged on two sides to create the twisted shape. They were formed by hammering multiple times to create the final asymmetrical unit. 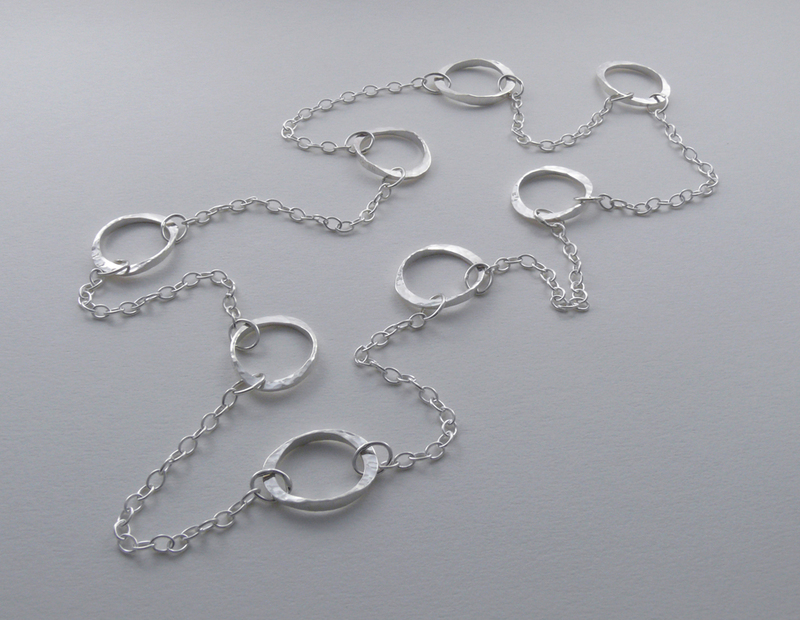 These hammered links are the same size as the Torc Earrings and joined by silver oval jump rings to the silver oval chain. 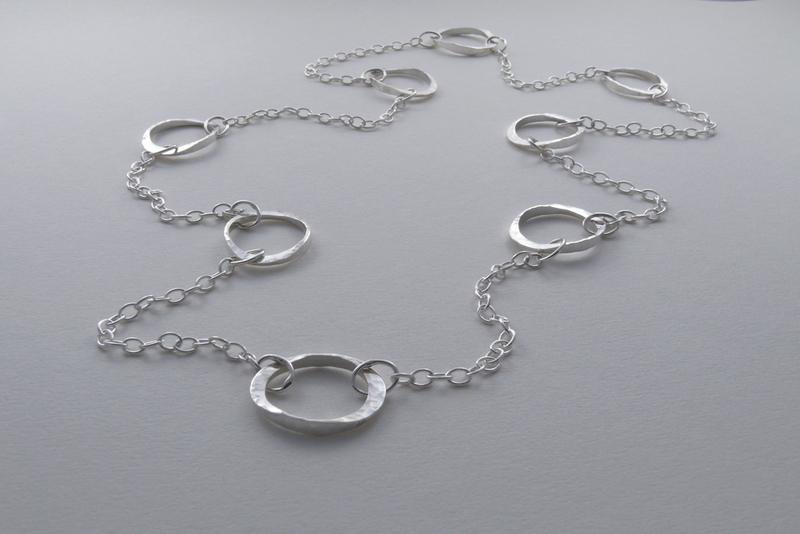 This long silver link necklace makes a striking fashion statement!